I read this article and found it very interesting, thought it might be something for you. The article is called VBT 114: Interview with Alon Hochberg of Billion Vegans online vegan marketplace and is located at https://veganbusinessmedia.com/vbt-114-interview-with-alon-hochberg-of-billion-vegans-online-vegan-marketplace/. In this episode I interview Alon Hochberg, co-founder and CEO of Billion Vegans, an online marketplace that is aiming to be the ‘Amazon for vegans’. 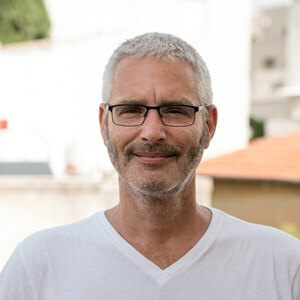 Born and raised in Israel, Alon is a serial high-tech entrepreneur and angel investor who has founded five companies over the past 25 years. He started his first business Modus in 1995 and funded it by himself with a second mortgage. It was one of the first companies in the world that developed an enterprise-grade Customer Relationship Management application. Alon sold the business three years later to the largest system integrator in Israel. In February 2017, after accidently seeing a short video about the dog-eating festival in China, Alon immediately went vegan. After spending several months replacing all his food, clothes, cosmetics and dog supplies, reading the fine print on every product, and contacting the vendors for more information, he bought a pair of ‘vegan’ shoes on Amazon. When they arrived, he found out the glue was made of pigs’ bones and decided then and there to start Billion Vegans to provide an online marketplace selling only vegan-certified products. The site launched in July 2018 in the US, with plans for international expansion into 2019 and beyond.